1. The walls have finally closed in on Adam and his storyline has drawn to a fiery conclusion. The car exploded and Billy survived. That's not unexpected since we know that David Tom has replaced Billy Miller in the role. We caught our first glimpse of David as he fell down in front of Victoria at their doorstep. Boy, that explosion really altered Billy's appearance! What of Adam? We are being led to believe that no one could have survived that explosion and that Adam must be dead. Don't be surprised if he shows up again in a few weeks or months. According to Michael Muhney, Y&R executive produce Jill Farren Phelps told him that Adam's character would not appear on screen for awhile and then return with a new actor in the role. I must say, I do have some sympathy for the wretched son of Hope. Although he is no angel, I think he has been treated far too harshly by Billy Abbott and some of the other residents of Genoa City. Here are a couple of points to keep in mind: Firstly, Adam did not set out to run over Delia. That was the furthest thought from his mind. It was purely an accident. Secondly, contrary to what Billy and others have stated, Adam did not leave little Delia on the roadside to die. He wasn't even aware that his car had struck the child. He thought he might have hit Delia's dog, checked to see if that had happened and was relieved that the dog was still standing. So, believing that nothing was amiss, he jumped back into his infamous black SUV and drove away. Adam is guilty of not turning himself in after discovering what he had unintentionally done. He acted out of cowardice and fear of losing Chelsea and cute baby Connor. Yes, he was very wrong not to go to the police but his intent was not malicious. His actions were all too human, especially since he feared Clueless and the Cops would not believe him with his his history of malfeasance. Adam rightly pointed out to Billy that he too bore some responsibility for his daughter's death. After all, Billy was the one who left Delia unattended in the car while he went to buy some ice cream. Adam's words really hit a nerve with Billy Boy and he had no rebuttal. Let's play amateur psychologist now. Perhaps the reason Billy has been so angry and vengeful toward Adam is that he is really angry at himself for leaving Delia alone. He has been projecting his anger onto Adam in order to ease his own guilt. Delia's parents, Billy and Chloe, come across as extremely vengeful and bloodthirsty. Yes, I can understand that they are in pain and that they lost their daughter. They claim they want justice but what they really want is revenge. They want someone to pay for what happened to Delia and they want to blame someone for her death. The confrontation between Billy and Adam has highlighted the excellent acting ability of both Billy Miller and Michael Muhney. It's really disappointing to see their departures. Why couldn't some lesser actor leave the show instead? Why do the fans have to lose the best? Sigh! 2. So if the police come to your door searching for someone and you assure them that the person in question is not on the premises, the police will just take your word for it, won't they? They will if you are the Great Victor Newman. Two of Genoa City's finest came to Adam's apartment with a warrant for his arrest. The Black Knight reminded them of his importance and stated categorically that his son was not there. The police just took his word for it and left. Why? He is the Big Man. He is the Great Victor Newman. That's why. The Big Man is also guilty of obstruction of justice. He knew Adam was the driver of the SUV and he didn't inform the police (It's no surprise Victor's investigator discovered the truth before Clueless Paul Williams). Victor used that information to blackmail his own son, Adam. When confronted about it by Nikki, he used his one-size-fits-all excuse for everything. He declared that he had to protect his family. He uses that excuse to justify almost anything. 3. Ian Ward showed up at Nikki's doorstep and he's quite a piece of work. He's so sly and slippery, isn't he? It seems as if Supermodel Summer will be his next victim. He gave her his card and you can bet she's going to look him up. Summer is young and naive, the perfect candidate for Ian Ward to lead down his disastrous Path. She's also not the sharpest knife in the drawer - just as Nikki was at her age. What a coincidence that she's Nikki's granddaughter! Like grandmother, like granddaughter. Wait until Ian discovers that they are related! 4. There are now pictures of outdoor scenes before the indoor scenes take place. For example, we have been shown outdoor images of the Abbott home in winter and the Genoa City prison. 5. So Carmine Basco is still alive. Are you happy about that, fans? I just hope they don't have him stalking Lauren again. I understand that he had to turn up alive in order to establish Fen's innocence but those stalking storylines are getting tiresome. I could do without the one about Tyler's ex, Mariah, stalking him and girlfriend Abby. 6. Wherefore art thou, Jill.Foster Abbott Fenmore? I am astounded that Y&R's producers and writers have left Jill's kidnapping storyline just hanging for such a lengthy period of time. I realize that the Adam storyline has been front and centre but could't they have devoted a few scenes to Jill. Why is no one concerned about her absence? The show has a terrible tendency to leave stories hanging far too long. It's very annoying and disconcerting to fans. Continuity is important. Steve Burton (Dylan McAvoy) and his wife, Sheree, are expecting their third child. Their daughter, Makena Grace, was born in 2003 and son Jack Marshall was born in 2006. Baby Number Three is due in mid-July. Soap writer Dan J. Kroll has reported that Eileen Davidson is returning to her role as Kristen Blake on Days of Our Lives rather than to her Ashley Abbott character on Y&R. Eileen will be seen on screen this summer. 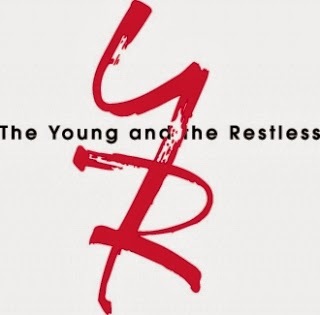 That's great news for Days fans but another disappointment for Y&R fans. I have been hoping for a storyline involving Ashley and Dr. Stitch. That isn't likely to happen any time soon. What was the name of the hair salon that Jill Foster once worked at with her boss, Derek.Thurston. Jill and Mrs. Chancellor fought over him. Derek married Katherine Chancellor after she got him drunk, although he eventually fell in love with Jill. Derek first appeared on the show in 1976. His last appearance was in 1984 when he attended the wedding of Victor and Nikki. The answer is further down the page. "Trapped in a cold apartment all night and then break a nail." "A skunk with perfume is a skunk." The hair salon managed by Derek Thurston was called The Golden Comb. That's all for now, Y&R fans. Get ready for the February sweeps and Valentine's Day on the show. There is going to be a big Valentine's gala n Genoa City and it's going to be filled with intrigue. Remember to check out the next edition of Y&R Report on Saturday, February 15, 2005. I leave you with a Reader's Poll. Are you pleased that Carmine Basco is still alive? Yes, I'm pleased. Marco Dapper plays the part really well. I don't really care. I'm not too interested in the character. No, I am not pleased. I don't like the Carmine character.